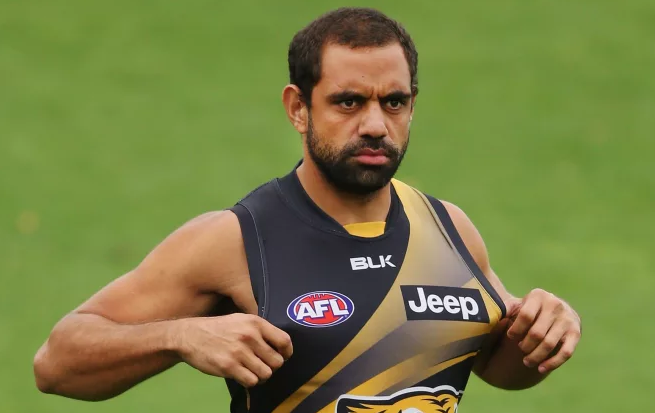 A former professional Australian rules footballer who played for the Carlton Football Club in the Australian Football League is named as Christopher Yarran. He is famed as Chris Yarran. He was also listed with the Richmond Football Club but did not play a senior match. He is an indigenous footballer who played his junior years in Western Australia. He is a very talented player. 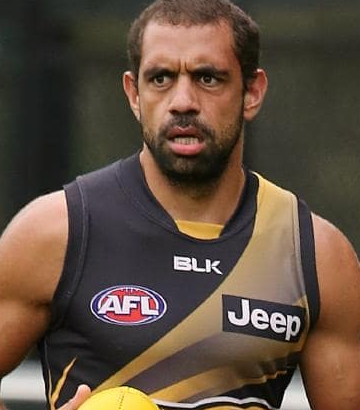 Chris Yarran charged with assaulting a police officer after alleged car stealing spree in Perth. FORMER AFL player Chris Yarran has reportedly been charged with assault and obstruction in relation to a series of car crashes in Perth. It has been alleged the 27-year-old stole a car, was involved in a crash, fled, stole another car then fled the scene again before being apprehended by police outside the Pan Pacific Hotel in Perth Friday night. At a bedside hearing transmitted to Perth Magistrates Court on Saturday, the court was told Mr Yarran, who had been taken to Royal Perth Hospital for treatment, was unable to be roused. Innocent drivers were terrorized and at least one hurt when a man tried to break into their cars during the multi-suburb spree which spanned more than 40km from Alkimos to the city center. Chris Yarran was born on 19th December 1990 with the birth name of Christopher Yarran in Western Australia. His nationality is Australian. is the cousin of former Fremantle player Shane Yarran. His star sign is Sagittarius. He was born to Malcolm Yarran and Deborah Yarran, his parents. There is no information regarding his siblings. Regarding his educational qualification, there is no any information. Chris has got a very attractive and hot body figure. He has a tall height of 180 cm (5 ft 11 in) with the balanced weight of 84 Kg (185 lb). His other body measurement has not been revealed yet and will be updated soon. With his charming smile, he attracts a lot of people towards him. Chris started his career from his junior years where he was a small forward but he spent time in the midfield and defense. Later, he was selected into the Swan Districts senior team, where he played thirteen games and kicked thirty-nine goals, including seven on debut and eight in three finals matches when he was 17. After his selection, he played with Western Australia in the under 18s championships and kicked eight goals in four games. Then, he was selected to join the Australian Institute of Sport-AFL academy in the 2006/07 intake and was also captained a team from the Clontarf Football Academy in a game against a visiting South African under 19s side in February 2007. He was selected by the Carlton Football Club with its first-round selection (sixth overall) in the 2008 national draft. He made his debut for this club against Fremantle in round 7, 2009. He played sporadically for Carlton during the season, managing six games, but played most of his games with Carlton's Victorian Football League (VFL) affiliate team, the Northern Bullants, including a five-goal performance in the VFL preliminary final. In the year 2010, he played sixteen games for Carlton and earned an AFL Rising Star nomination. In the year 2011, he was moved onto the half-back line, and within the year became a damaging rebounding defender, able to use his speed, agility and accurate disposal to set up much of Carlton's rebound play. In the year 2012, he was injured in a turf toe but he was the winner of the Goal of the Year, for a goal in round 1 in which he gathered a loose ball on the half-forward flank, evaded three Richmond opponents and skirted the boundary line before going from 50 meters. He was later traded to Richmond in exchange for a first-round draft selection in October 2015. He could not play well in the year 2016 because of his mental health issues and later he was released from his contract. He was also featured in the award-winning 2010 documentary film, Three Boys Dreaming, which followed the lives of him and two other young indigenous footballers over a four-year period from ages 14 to 18. The net worth of Chris is surely in million. His exact net worth and salary has not been revealed yet and will be updated soon. There is no doubt in the mind of his follower that he is earning a considerable amount of money from his career and also he is satisfied with his earning. Chris is not a married person. Currently, he is focusing more in his career rather than being in a relationship. He is enjoying his single life happily. There are no any rumors about him with any lady. He has also not spotted with any lady in the public places. In 2012, his spectacular Round 1 goal against Richmond was named Goal of the Year. He was chosen for the Swan Districts senior team at age 17 and played for Western Australia at the Under-18 Championships. He is one of the subjects of the award-winning documentary "Three Boys Dreaming," released in 2010.